The first thing most people do in a power outage is get a flashlight. Hopefully you have them in easy-to-find locations around the house and with fresh batteries. But what if you don’t? What if you don’t have enough batteries, or don’t have the right size batteries? 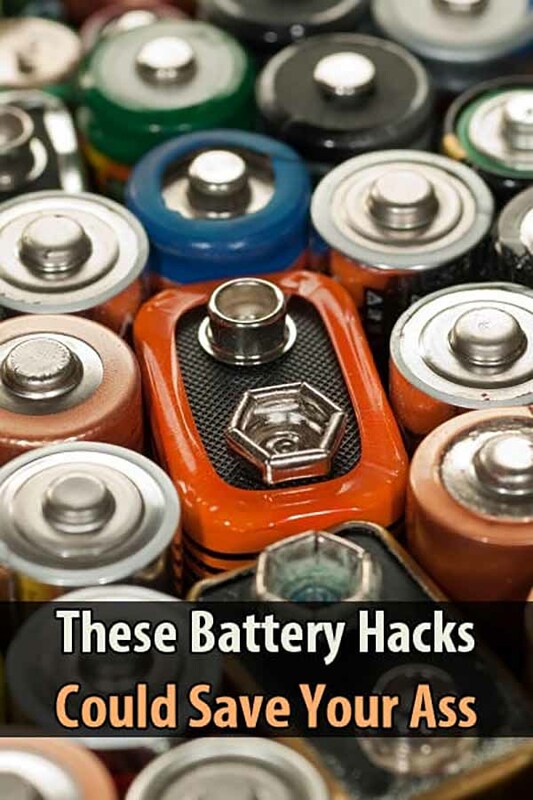 In the video below, Malcolm shares a couple battery hacks that could help if you run into this problem. 9 volt batteries have 6 small batteries that are nearly the size of AAA batteries. And for batteries that don’t fit or a missing battery, you can use tin foil to fill the gap. 2 types of pp3. 6 cells or layered waffers plus quite a difficult and potential physical hazxard to banana fingers.Waste of time. Best get a rechargeable li-on led torch with solar charger. Just who writes these stupid arrivals. When you break open the 9V, you could mark the ends of the individual cells, with their polarity. Is there some compelling reason not to use “Hack 2” for the first problem as well?